Many of us find ourselves in a world of technological triumph. We live in homes filled to the brim with the latest gadgetry. We have machines to fulfill our every need and desire. In a matter of hours we can fly just about anywhere we want. We can eat whatever takes our fancy - all pre-prepared in a packet. And with that truly wonderful invention that is the Internet we can access the sum total of human knowledge and interact with like-minded folk irrespective of physical location. Isn't the modern world wonderful? ...Or is it? Despite the many triumphs of the human intellect, wars, hatred, intolerance and violence continue to rage around our fragile planet. Many of our species still live in terrible poverty. And even those in the so-called developed world with access to all the technological advantages available are overworked, stressed and ultimately unfulfilled. Deep down we instinctively feel there is more to our existence than the meaningless trivialities of the material world. That infinitely greater realm of which we are a part, and our innate desire to re-connect with it, are our Spirituality. In recent years there's been rapidly growing interest in something that's become known as the New Age movement. In fact "the new age movement" is a misnomer for two reasons. Firstly, it isn't really a single movement, the new age encompasses a whole range of ideas including the occult, spiritualism, psychic powers, paranormal phenomena, astrology, tarot, Wicca, paganism and much more. Secondly, its themesaren't really new at all; they're as ancient as civilization. It's just the interest in them that's being renewed. All the various aspects of the new age movement represent a reaction against modern materialism its "greed is good" mentality. Making a few more dollars or buying the newest electronic wizardry is leaving more and more unfulfilled. The new age is also a reaction against traditional religion, in particular Christianity. Much of Christianity has deviated from the teachings of the Lord Jesus. Those that claim to be Christian, or of some other orthodox faith, often act highly contrary to the teachings they are supposed to hold dear. New age spirituality steps in to fulfill the need for something, ie something Spiritual that the material world alone cannot offer. Like every Web site new age spirituality is a work in progress. We frequently add new articles and resources and positively welcome suggestions from our readers as to new directions we might take. We also positively welcome contributed articles and link suggestions, though we can't guarantee we'll publish everything received. If the messages found here shed some light upon the pathway of just one person then my efforts are not in vain. I was born in London, England in 1964 and have been interested in what be called "the supernatural" for as long as I can remember. I clearly recall in my early childhood crying to be allowed to stay up to watch late night horror movies. I suppose my interest stems from a desire for there to be something more to existence than what I can perceive with my senses. Educationally my background is in the sciences. At school my best subjects were mathematics and physics. I later achieved both Bachelor and Master of Science degrees (majoring in the field of computing, and obtaining honours and distinction respectively). I have travelled extensively and have had the privilege to live and work in both Japan and Canada. new age spirituality began life as a series of essays written as I struggled to make sense of a whole range of ideas that sit comfortably under the new age umbrella. My interest in the spiritual intensified further following the passing of my father as I desperately sought hope and assurance that in some way, some form, he continued to exist and that we would both eventually be reunited. 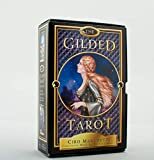 The Gilded Tarot by Ciro Marchetti has some of the most strikingly beautiful art on any Tarot deck, yet follows the classic Rider-Waite-Smith model. The included Gilded Tarot Companion book by Barbara Moore is a complete introduction so that even a beginner can use this deck right away. 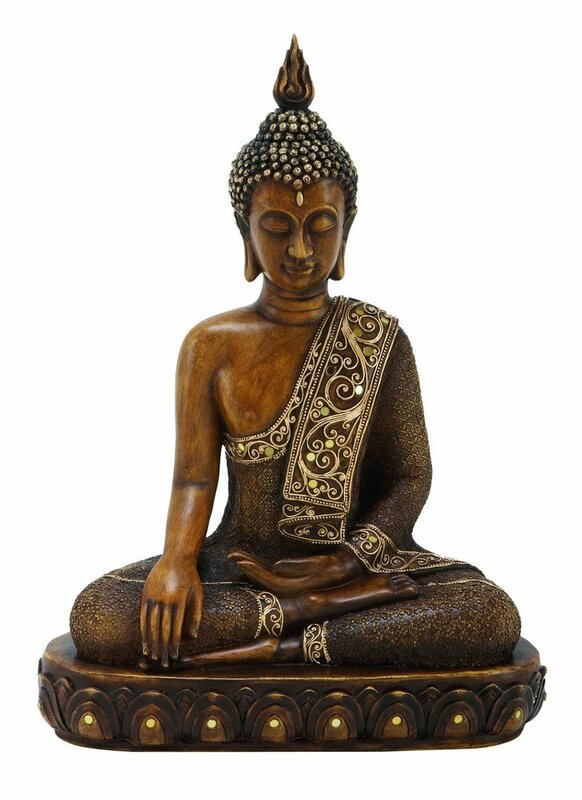 Buddha Earth Touching Mudra Statue Enhance your home and garden with this graceful 15in. Buddha Statue symbol of peace and harmony made from poly stone material.